Mary Sitton Real Estate Team	"Never settle when it comes to your real estate needs!" Who’s Powering the Housing Market? Posted on December 4th, 2017 . After five years of living together in a one-bedroom apartment, Jamil Saeed and Felicity Greenpalm are ready to take the next step and buy a house in Seattle. Research done by the National Association of Homebuilders found that more than 90 percent of millennials say they eventually want to buy a house. Most millennials are first-time buyers. In many parts of the country, they’re dealing with a hot housing market where home prices are soaring and supply is limited. 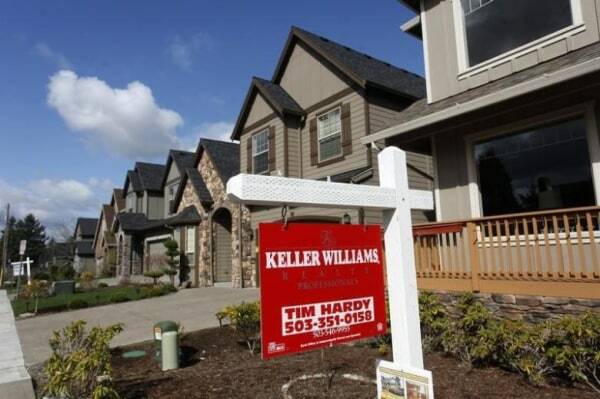 And even though they are typically two-income families, home prices are outpacing wage growth. Millennials are focused on being able to afford their purchase. They want a property that is well within their budget, real estate experts told NBC News. Jacob Berg, a 33 year old bookkeeper, and Bianca Rose, a 27 year old insurance agent, recently bought a home in Valencia, California. It took them a year to find the right place: a small house (900 sq. ft.) with two bedrooms, two bathrooms and a two-car garage. They paid $430,000 for it — a price that was well within their comfort zone. Berg and Rose see their new house as a step up from living in an apartment, as well as a long-term investment. They hope to rent it out some day and move to a bigger place. The couple’s real estate agent, Cyndi Lesinski at John Hart Real Estate, told NBC News her millennial buyers are more focused on the monthly cost than the selling price. Lesinski spends a little more time with her millennial clients to make sure they understand the process. But she said these buyers are more financially savvy than most people realize. They understand their money and what makes sense for them, she said. Last month, the Zillow Group, which operates Zillow.com and Trulia.com, added RealEstate.com to its portfolio. The new site is designed for first-time buyers who are struggling with affordability. Zillow’s research found that more than half of all first-time buyers are millennials. Along with the asking price, RealEstate.com shows the “All-In Monthly Price” that makes it easy to compare the monthly cost of buying that property with the monthly rent you’re paying. The results also show many of the costs first-time buyers may not think about when they start their search: estimated property taxes, home owner association fees, homeowners insurance, private mortgage insurance, utilities and closing costs. Millennials are late bloomers. They’ve delayed marriage and children and buying a house. So when they do buy, they want a bigger home. Sometimes, they skip that starter home and look for a house that they plan to live in forever. When they’re ready to buy, millennials are very much like the generations that preceded them — most want to buy a house in the suburbs. Millennials want big homes: 2,375 sq. ft. on average, according to the latest NAHB tracking survey, released in March 2016. By comparison, the average desired home size for all buyers is 2,202 sq. ft. For baby boomers it’s 1,879 sq. ft.
Nearly half (48 percent) of the millennials surveyed said they wanted four bedrooms or more. Only 20 percent of boomers and seniors want that many bedrooms. Millennials also want outdoor spaces — a deck, a patio and a front porch — exterior lighting, a shower and tub in the master bath and hardwood floors on the main floor. Buyers of all ages are starting their home search online. Not surprisingly, millennials and Generation X buyers (born between 1965 and 1980) are the most likely to do this. But about 90 percent of millennials still use a real estate agent, according to industry data — although the traditional relationship has changed a bit. Nela Richardson, chief economist at the real estate brokerage website Redfin, sees millennials “aggressively” negotiating commission fees. Redfin data shows that 73 percent of millennial sellers try to negotiate with the listing agent for a lower commission, compared to 44 percent of Gen-Xers and 24 percent of boomers. Nearly two thirds (63 percent) of the millennials who tried to get a lower commission rate percent reported being successful. Millennial buyers are also much more likely to get a commission refund or rebate, contribution toward closing costs, or other form of saving from the buyer-side agent. Fifty nine percent reported receiving some form of savings from their agent. Herb Weisbaum is The ConsumerMan. Follow him on Facebook and Twitteror visit The ConsumerMan website.